Hey ladies! I am hosting another giveaway! This is for those of you interested in straightening your hair this spring/summer. We all know how impossible it is to keep your natural hair from turning into a poofy mess in humid weather. This giveaway is for a product aimed at preventing that. 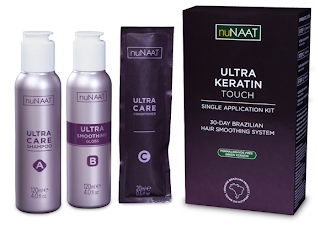 It's called the nuNAAT Ultra Keratin Touch, at-home 30 day smoothing system. Designed to temporarily alter hair structure, Ultra Keratin Touch is a one-time application kit that provides increased manageability and natural shine for all hair types while making 'tresses effortless and frizz-free. 100% Formaldehyde and Sodium Chloride free, Ultra Keratin's Touch's Green Keratin formula is activated with heat to intensely adhere to hair fibers and cuticles. 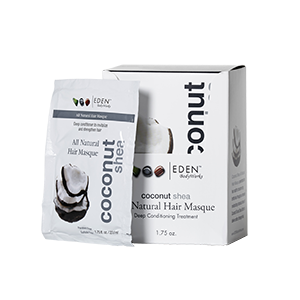 The result is incredibly smooth, strong hair with renewed health, intense nutrition, flexibility and shine, lasting up to 30 days. The kit includes the Ultra Care Shampoo, Ultra Smoothing Gloss and Ultra Care Conditioner. The product is available at Walgreens for $24.95 but you can get it here free! Either leave a comment below with your email or shoot me an email (glamswagger at gmail) and I'll drop your name in the hat.